Three weeks ago at my mom's request I joined the gym. My mom has always worked out. Since retiring a year ago and add a whole lot of sadness the last couple of months she has gained weight, which has made her sad and uncomfortable. Let's be clear here, I really had no desire to join the gym, and my mom didn't expect me to. Nonetheless I said "sure" when she asked me. I could absolutely stand to lose 20 pounds, since becoming self employed in June I have put on 15 pounds. I also had the money to join, and could make the time. If all that comes from my gym experience is making my mama happy it is 500% worth it. After three weeks of working out for about an hour and a half every other day, I am feeling stronger. The big shocker here is that I am actually enjoying it way more than I thought I would. That is me in the cover photo post workout, wearing my new gym shoes. I feel stronger, more energetic and just overall better than I have in a long time. I am currently weighing about 180 lbs, with any luck I will be able to get down to around 160. We have been alternating between leg day and arm days, and doing core workouts every time we go. We are currently using the treadmill for our warm ups and cool downs. 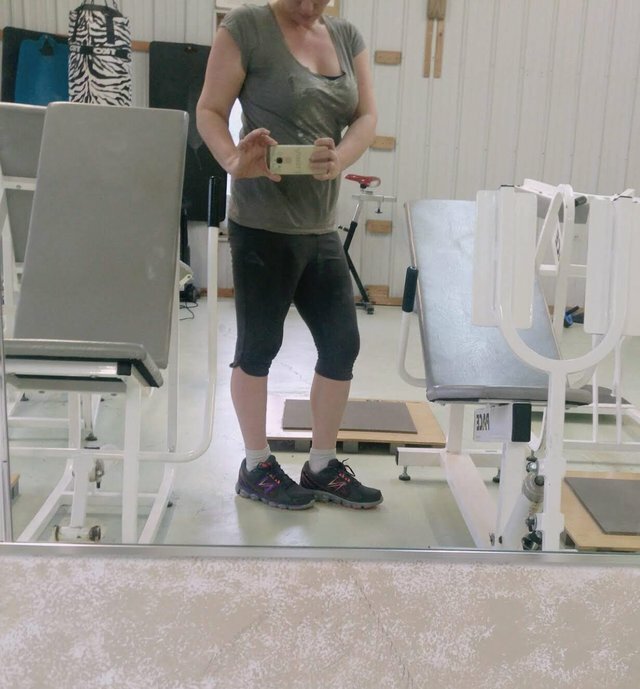 We are using the weight machines rather than the free weights for now, and I was pleasantly surprised that on some machines (legs) I can do 60-80 lbs, on my arms I max out at about 40 lbs. 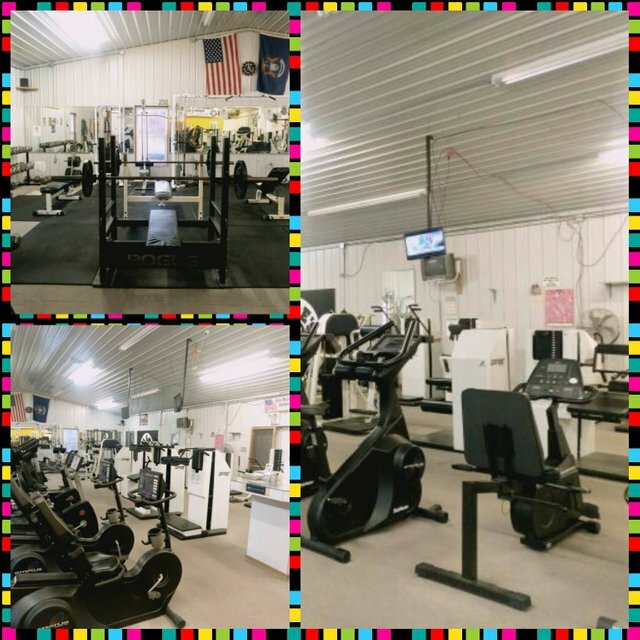 We do around 8-10 different machines for legs and 8-10 separate ones for arms. Squats on a machine are proving to be the most challenging thing to do, so I have been cheating and doing most of my squats with 10 pound free weights and adding lunges with free weights into the mix as well. Yesterday, I was able to push through and use the machine, so maybe this is proof that I am getting a bit stronger already. Bicep curls are hard also, I struggle with them every time. The chest fly and abduction machines are also hard, but they don't hurt like the other aforementioned exercises. I don't really have a favorite, but some feel good, while still feeling challenging. 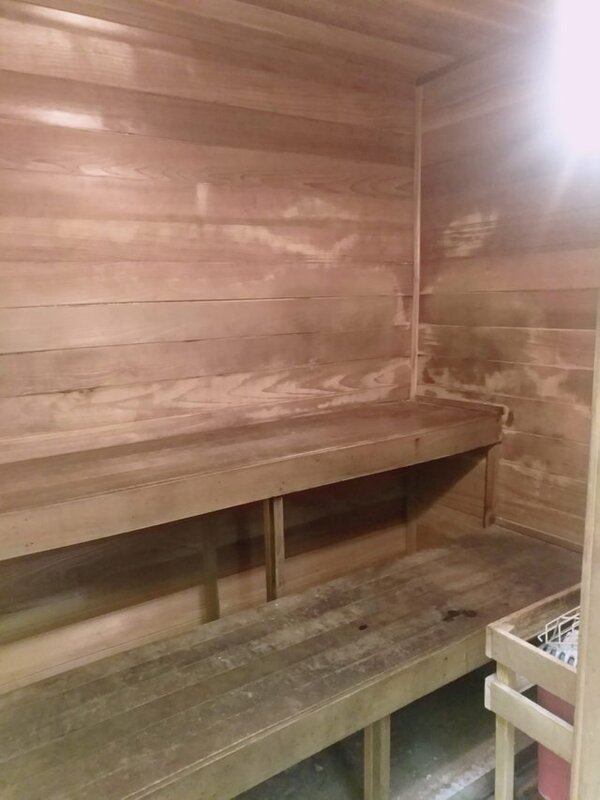 This sauna is always a good way to relax after the workout, we normally sit in it for 10-15 minutes at temperatures right around 170 degrees Fahrenheit. This along with the added water I have been consuming, is really helping me to purge a ton of the junk I put into my body out, my skin is looking a ton healthier. My appetite is now fairly poor, I think that maybe I was overeating before, but I am eating smaller portions since joining the gym. I do believe that your body will do what you tell it to, so maybe this is just part of my body obeying my actions. Thanks for stopping in! I will update on my progress in a month or so. Awesome that joined !!! You’ll see you will feel even better the more you workout and soon you will be totally addicted 😁 well done! !